Check our Blog page regularly for continually changing info, articles, news, and more! In late 2014, Broomfield embarked on a journey that is finally nearing completion. This journey has lasted almost 3 years. In late 2014, a firm was retained to complete a programming study for the existing wastewater laboratory and administrative facility. The study determined that the existing laboratory space was approximately one-half the size that was typical for the staffing and testing performed at the facility. 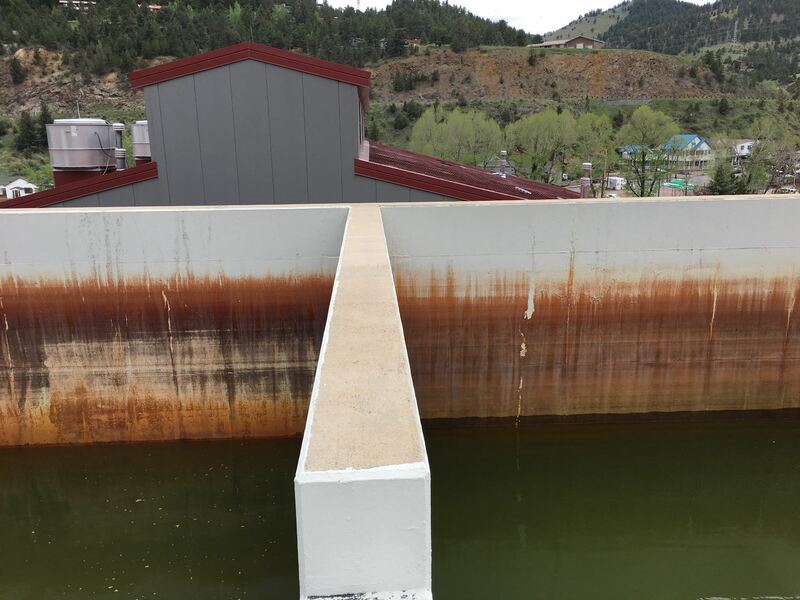 2001-Due to growth, reclaimed wastewater initiative and more restrictive permit discharge limits, the treatment facility was converted from a secondary treatment technology to a biological nutrient removal with reclaimed wastewater treatment and pumping facility. The capacity was expanded from 5.4 MGD to 8.0 MGD. 2007-Due to growth, expanded the biological nutrient removal treatment capacity to 12.0 MGD. However, the laboratory/administration building had never been remodeled. Over the years, additional equipment and personnel were added and counter work space and storage space quickly dwindled when new equipment was purchased and staffing increased to meet new regulatory requirements. In the summer of 2015, an engineering firm and an architectural firm were chosen. In September, staff attended the kick-off meeting with the engineers and architects. Then a few months later a construction company was hired to review the architectural plans and give an estimate of the costs. In August 2016, the contract was issued to start construction. Due to utility lines having to be relocated actual construction of the new lab didn’t start until early 2017. There were several objectives and requirements for the project. 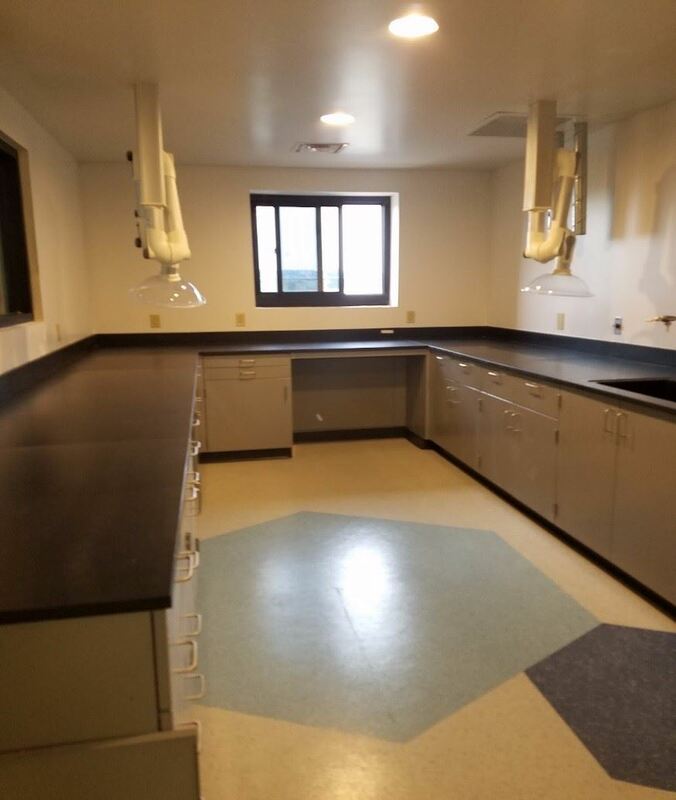 The largest requirement was that lab staff had to be able to continue working in the current lab while the new lab was constructed. This was a challenge because the new laboratory was attached to the current administration/lab building. So, construction crews had to build temporary walls to keep the two sides separate. There were numerous days of dust and loud construction noise, but we remained upbeat because we knew that was the sound of progress. There were lots of fun parts with the project. We toured several other labs and got some great ideas from them. We got to pick out new cabinets and countertops. We also got to assist with the layout of the new lab. With the new lab, we were able to design a work area for all of the staff that included their own cubicles outside of the lab. This was a vast improvement because staff had always had their work stations in the lab and were never able to eat or drink at their desks. They also couldn’t escape from the lab noises and smells (not that wastewater is smelly)! So, now it is August 2017 and we are moving into our new lab August 18th. This marks the end of Phase 1 of the project. After all staff and equipment are moved into the new lab area, the current lab and administration building will be demoed and phase 2 will start. In phase 2, the current administration area will be redone with new offices and a new conference room. The men’s bathroom will be enlarged by combining it with the women’s bathroom. A new women’s bathroom was constructed in phase 1. The old laboratory will be remodeled into space for the stormwater and industrial pretreatment staff. Barring too many hurdles, phase 2 is scheduled to be completed on November 17, 2017. Is Your Lab Ready to Support Nutrient Removal with Quality Data? Advances in nutrient removal and recovery seem to be coming at breakneck speed. This is especially true, perhaps, to those of us in a wastewater lab; associated with a treatment facility but not actually on the front lines of treatment. There are many new technologies available, new configurations for aeration basins, new acronyms, new (read lower) permit limits, even ‘new’ microbes. And there is always a new theory to test, a new idea on the horizon. Most of the new ideas and technologies that I hear about are accompanied by a request from the lab for data: more data on what we are currently doing, more data from a new system that is being tested, a sampling campaign to get critical data for a new technology. Flows and returns, diurnal patterns, changes in concentration and speciation of nutrients, It all must be tested, and the data needs to be as good as possible. It all got me thinking about the basics of nutrient removal, and the need for labs to be able to accurately perform analyses on the complicated matrix of aeration basins. By basics of nutrient removal, I am referring to traditional biological ammonia removal, in this case in a secondary basin using activated sludge. This is in itself a series of complicated reactions occurring in a complex and delicately balanced system-far from actually being basic! Most nitrogen coming into wastewater treatment plants is in the form of ammonia (NH3). Biological removal of ammonia from wastewater involves oxidizing it to nitrite (NO2) and nitrate (NO3) and then ultimately to elemental Nitrogen gas (N2). These two reactions together are known as Nitrification, the process of converting ammonia to nitrate. Notice that nitrification is a purely aerobic process. Nitrification in a suspended growth/sludge secondary depends on many factors: pH, Alkalinity, Dissolved Oxygen (DO), the presence of any toxic chemicals, temperature, the COD:TKN ratio, and the fact that nitrifying bacteria are outcompeted by heterotrophic bacteria (bacteria that use organic Carbon, and not CO2, for growth). A pH of less than 7 is detrimental to the process of nitrification. Notice how the equation of ammonia oxidation (Equation 1) adds acidity to the basin. This is where alkalinity comes in. In fact, for each gram of ammonia nitrified, 7.2 grams of CaCO3 alkalinity are required. Each gram of ammonia nitrified also requires 4.6 grams of O2. So oxygen must be added constantly, but it must be at a controlled level since adding DO above a level of 3ppm, in general, provides no benefit and is a waste of energy and money. Toxic chemicals reduce nitrification ability, and keeping a secondary basin free from these requires a robust pretreatment program. The COD:TKN ratio is also a factor, as influent loads that are biased higher in organic load (COD) tend to decrease nitrification rates by providing an environment more conducive for aerobic heterotrophs. The slow rate of growth of nitrifiers generally means that activated sludge processes that denitrify have longer sludge retention times (SRT) than ones that only treat for carbon/BOD. The process of converting nitrate to nitrogen gas is known as denitrification. Denitrification completes the conversion of ammonia to nitrate to nitrogen gas. Denitrification is also bacterially driven, this time by heterotrophic (get their carbon source from organic sources, not CO2), facultative (able to use oxygen or other substrates as terminal electron acceptors) bacteria known as denitrifiers (i.e. Pseudomanas, Thiobacillus denitrificans). Denitrification-in contrast to nitrification-occurs in an anoxic environment (where nitrate is available but oxygen is not). This means that aeration basins must have different zones with different oxygen levels to accommodate the growth of both nitrifiers and denitrifiers. For every 1 gram of nitrate that is converted to dinitrogen gas, 2.9 grams of BOD are consumed and 3.6 grams of alkalinity (as CaCO3) are produced. Ideally, operators can configure their basins so that they can take advantage of the alkalinity produced from denitrification to supply some of the alkalinity needed for nitrification. To do this however, denitrification must occur prior to nitrification-another complication. There is clearly a lot going on even in this basic example of ammonia removal. To assist plant operators, a lab must be able to provide quality and timely values for pH, ALK, BOD, NH3, NO2, NO3, COD, TKN, and Temperature, as well as quite possibly the composition and abundance of microbes. Many of these values can be provided via inline instruments now, but even so, the fact that the lab must have accurate analyses of these parameters does not change since the instruments are calibrated to lab values. Thus it is very important that any lab analyzing activated sludge samples thinks about the difficulties of analyzing this difficult matrix. Bad data causes bad decision making, and an activated sludge is no place for that! Here, in no particular order, are some ideas to consider: Do nutrient samples need to be digested/distilled? Do standard hold times even apply in such a biologically active matrix? Does your standard of known concentration actually represent this matrix, or are you using a clean standard that gives a false idea of how well you are doing? 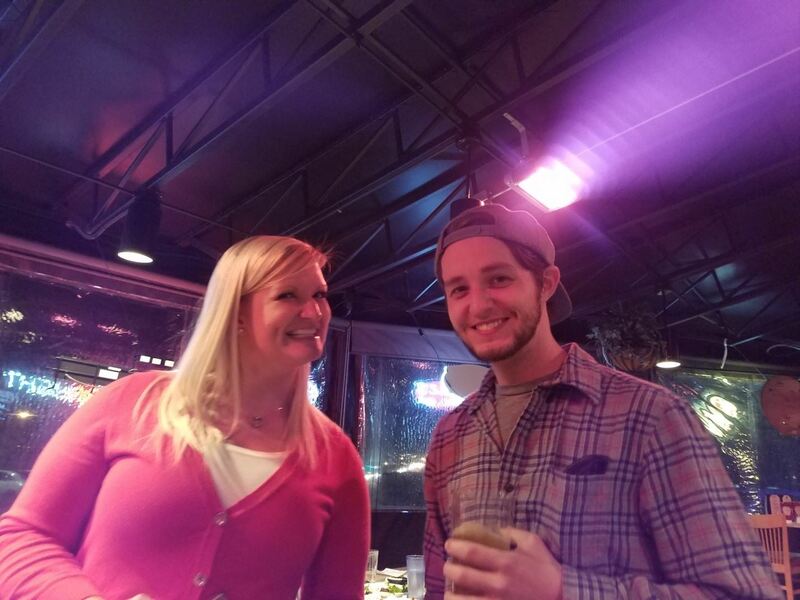 Can you spike a mixed liquor sample and get recovery? Are you diluting samples so much that you are raising your method detection limit to the point it is not practically useful? Does the matrix itself cause colorimetric interference? Can you digest and run the same sample twice with comparable results? Can different analysts run the sample with comparable results? Are you pH preserving the sample correctly, or is the alkalinity in the solids in the sample slowly neutralizing acid and raising the pH over time? Is your DO/pH/etc... meter subject to fouling? Are there interferences in the matrix (do reported values increase with dilution)? Being able to support basic nutrient removal with quality data is paramount for wastewater labs. Remember, it only gets more complicated from here! J. Rodziewicz, A. Mielcarek, W. Janczukowicz, and U. Filipkowska. Effect of COD/TKN ratio on the effectiveness of nitrogen compounds transformation in a reactor with immobilized biomass. University of Warmia and Mazury in Olsztyn, Department of Environment Engineering. R. Sharma and S. K. Gupta. Influence of Chemical Oxygen Demand/Total Kjeldahl Nitrogen Ratio and Sludge Age on Nitrification of Nitrogenous Wastewater. Water Environment Research. Vol. 76, No. 2 (Mar. - Apr., 2004), pp. 155-161. S. Okabe, Y. Aoi, H. Satoh, and Y. Suwa. 2011. Nitrification in Wastewater Treatment, p 405-433. In B. Ward, D. Arp, and M. Klotz (ed), Nitrification. ASM Press, Washington, DC. Steve Polson, P.E. Nutrient Removal 101- Process Fundamentals and Operation. JTAC Presentation May 18, 2017 at AWWA Headquarters, Denver, CO.
Richard MacAlpine holds an MS in Environmental Science (WQ Emphasis) from CU-Denver, is on the Education Subcommittee of RMWQAA, and has worked in the lab at Metro Wastewater Reclamation District for the last decade plus. The Argo Tunnel (Figure 1) was the primary drainage and ore transport tunnel from Nevadaville to Idaho Springs. It was excavated from 1893 and 1910, drained water from several mine workings, and allowed ore carts to be wheeled right up to the Argo Mill next door. Although the tunnel has not been used to transport ore since the 1940s, water still drains through it constantly. The tunnel discharge averages 275 gallons of acidic contaminated water per minute. Approximately 850 pounds of dissolved metals are released from the tunnel each day. The Argo Tunnel Water Treatment Plant began operating in April 1998, treating water from the Argo Tunnel. Flows from the Big Five Tunnel at the west end of Idaho Springs and groundwater from Virginia Canyon were added in 2006 (Figure 2). 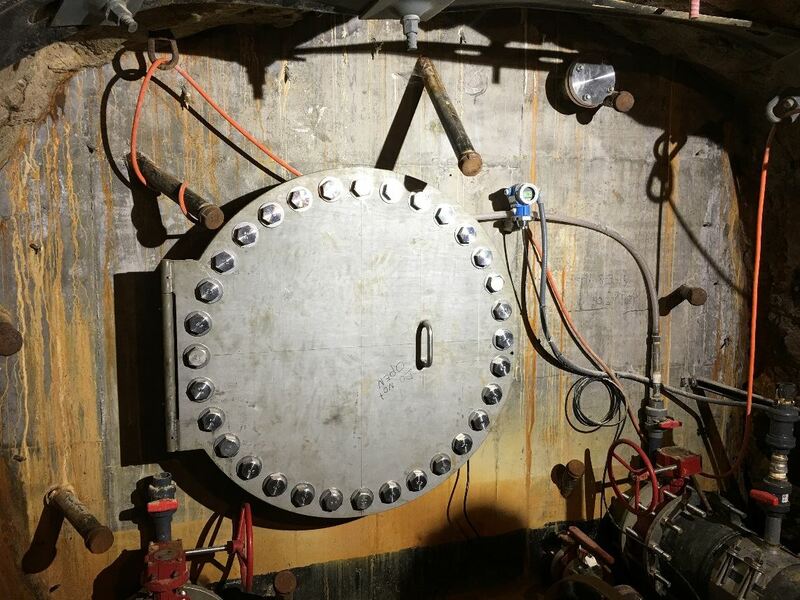 The Argo Tunnel Flow Control Bulkhead (Figure 3) was completed In August 2015 at a cost of approximately $970,000. A pipe runs through the concrete plug so water treatment plant operators can regulate the flow and control water levels inside the mine pool. 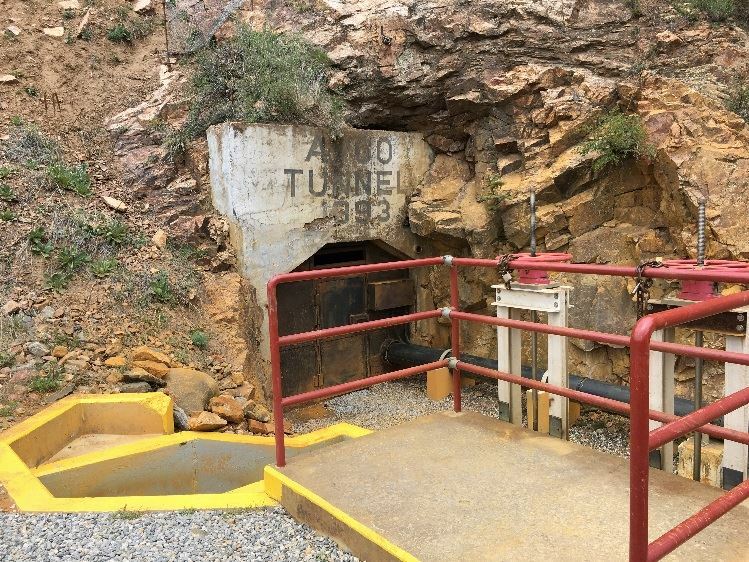 The tunnel has a history of surge events that released untreated mine water into Clear Creek. The primary contaminants include acidity and a host of heavy metals, including aluminum, copper, iron, manganese and zinc. After flowing down from the tunnel, the influent accumulates in an equilibration basin (Figure 5) before entering the plant. From there it is mixed with recycled metal hydroxides and hydrated lime until a pH of 9.9 S.U. is achieved. The lime system includes a silo for storage (Figure 6), a slurry mix tank in the enclosure along with the silo, piping from the lime enclosure to the WTP, a day tank within the WTP and diaphragm metering pumps for feeding the lime into the treatment process. Recent upgrades converted the plant’s conventional process to a high-density sludge (HDS) process. 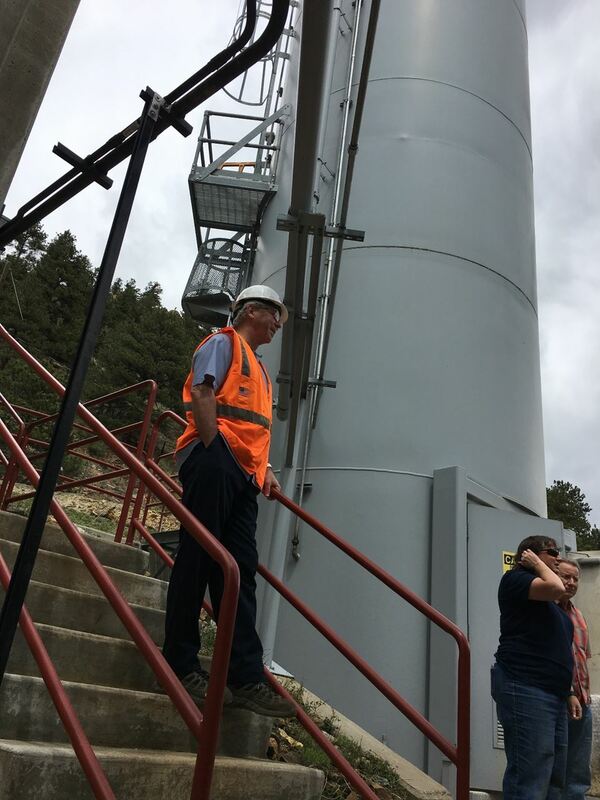 The HDS process sends metal hydroxides into a conditioning tank where they are coated with lime and sent back through the system for up to 30 additional treatment cycles. The process is more efficient at removing metals from the water, resulting in denser filter cake and less material sent to landfills. This mixture is sent to a sludge thickener where the precipitates settle by the force of gravity from the water, and the clarified water flows off the top. A polymer (Figure 7) is added in a low dose to improve settling and filtration performance. The overflow water is polished using a sand filter, and then treated with hydrochloric acid to achieve a discharge pH of approximately 8.5 S.U. (Figure 8). The precipitates are pumped from the bottom of the sludge thickener and then sent to a plate-and-frame filter press. The solid filter cake contains approximately 35-40% solids and passes testing of the Toxicity Characterization Leaching Procedure (TCLP), characterizing it as a nonhazardous waste and is disposed of in a municipal landfill. 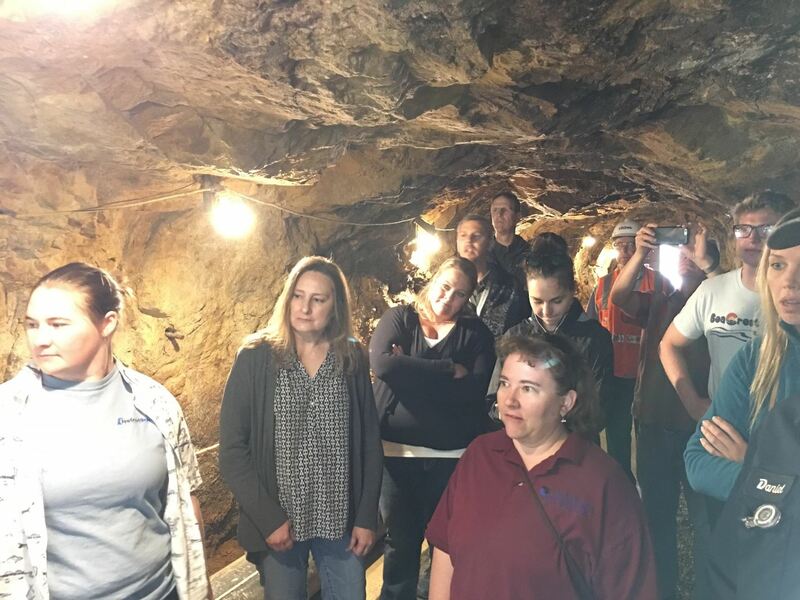 Special thanks to Mary Boardman with the Colorado Department of Public Health and the Environment for giving the RMWQAA group the tour! Lindie Aragon is the Chemist at the City of Westminster's Wastewater Lab. She is the head of the RMWQAA scholarship committee and coordinated the Argo tour. Chlorophyll a. Standard Methods 10200H. EPA 445-447. Straightforward, right? Follow the method, and get the concentration of chlorophyll a in the sample. This seems straightforward, but I would argue, and many other scientists would agree, that it is not straightforward at all. Chlorophyll a is a surrogate measurement for algal biomass at the community level, and is often used to evaluate the effects of nitrogen (N) and phosphorus (P) additions to a waterbody. Algae incorporate carbon (C), N, P, and other elements, leading to growth, proliferation, and more chlorophyll contained within the waterbody. While this process is fairly definitive, the composition of chlorophyll is not. The photosynthetic pigments in freshwater algal cells include the chlorophylls (i.e, a, b, and c), the carotenoids (i.e., carotenes, fucoxanthin, and xanthophylls), and depending on the type of algae (i.e., cyanophyta and pyrrophyta), can also include phycobiliproteins or bacteriochlorophylls (Kirk 1994, NALMS 2017). Thus, when a lab is asked to measure chlorophyll a in a water sample, how confident are they that the reported concentration is only chlorophyll a, and not all these other components? The basic chlorophyll a methods listed above try to account for the numerous other colorful components of algae (pigments) that could potentially be recognized by the spectrophotometer or fluorimeter which may confound the chlorophyll a concentration. In addition, photosynthetic pigments begin to degrade soon after collection so knowing the quantity of active versus degraded pigments is important. Acidification can account for the degradation of chlorophyll to pheophytin, but how can a lab be certain that the chlorophyll a concentration measured with one method is equivalent to the concentration measured with a different method? The logical answer is a chlorophyll a standard. Chlorophyll a standards are available through a number of sources, but their actual concentration “as chlorophyll a” is not always clear. The standards are typically created through pulverization of spinach, or other chlorophyll-rich leaves, and can be in the form of a solid or liquid. Instructions on how to use the standard are rarely provided, and manufacturers provide little detailed information for their use. Often, these standards do not result in a specific concentration of chlorophyll a, only a concentration of ground spinach leaves. Numerous labs can measure the same “standard”, but who is to say the actual concentration of chlorophyll a? These uncertainties in quality assurance provided the impetus for the Chlorophyll a Round Robin Event conducted by the City of Northglenn in 2015 (Taylor, et al. 2015). The RMWQAA’s concern in this methodology is not unique, as The State of Florida reiterates the same concerns regarding the numerous available methods and the variety of ways the data can be handled in “Applicability of Chlorophyll a Methods” (FLDEP 2011). A total of 11 analytical laboratories participated in the event, each reporting their chlorophyll a result for a laboratory split sample. The “corrected” (i.e. pheophytin correction taken into account) chlorophyll a values ranged from 77.6 to 162 mg/L, while labs reporting uncorrected chlorophyll a had a much larger range from 10.8 to 178.9 mg/L. These results highlight the uncertainty in laboratory and methodological approaches and confounds the true answer. While the true concentration remained elusive, the real concern comes in to play when regulatory agencies are making decisions based on these data. Total Maximum Daily Limits (TMDLs) for nutrients are being determined from the chlorophyll a data resulting in more stringent nutrient limits for dischargers to these waterbodies. Thus, the question arises… Are regulatory decisions based on data from comparable chlorophyll a methods, or are different methods being used, potentially skewing the results? Furthermore, are laboratories confident in their results for chlorophyll a and do data users understand the uncertainty associated with the results? All of these questions should be considered before implementing regulatory decisions such as a TMDL that could dramatically impact limits for dischargers. Florida Department of Environmental Protection (FLDEP). 2011. Applicability of Chlorophyll a Methods. DEP-SAS-002/10. October 24, 2011. Kirk, T.O., 1994. Light & Photosynthesis in Aquatic Ecosystems, Second Edition. Cambridge University Press, New York, NY, 509 pages. North American Lake Management Society (NALMS). 2017. Chlorophyll Analysis. The Secchi Dip-In. From: http://www.secchidipin.org/index.php/monitoring-methods/chlorophyll-analysis/ accessed 5/1/17. Taylor, E., Guilmette, C., Rhodes, E. 2015. Chlorophyll-A Round Robin. City of Northglenn Water Quality Laboratory. Natalie Love is the Laboratory Director for GEI Consultants, Inc's Laboratory. GEI conducts Whole Effluent Toxicity (WET) testing, benthic macroinvertebrate identifications, and low level nutrient analysis for Regulation 85 and other local monitoring. April of 2017- Interpreting Discrepancies between Analysis Methods, Machines, and More. Interpreting Discrepancies between Analysis Methods, Machines, and More. 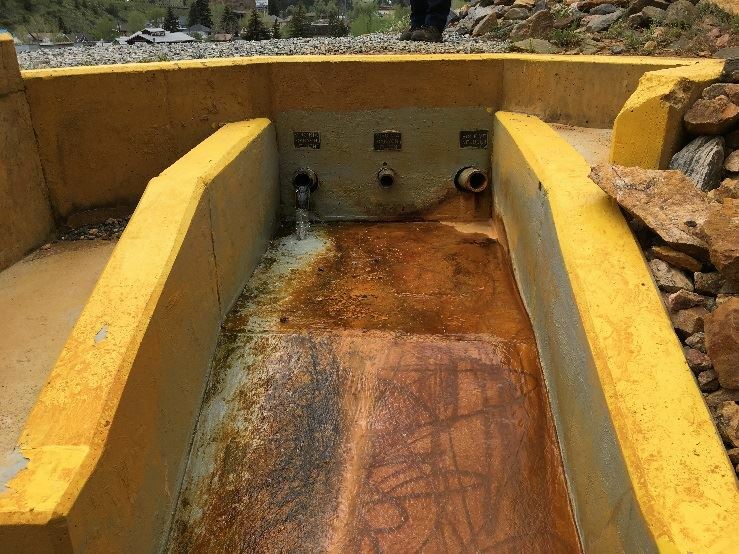 As advancements in Water and Wastewater Treatment technologies continue to emerge and regulations provide municipalities with more hurdles in meeting increasingly stringent standards, we also see potential for misinterpreting data and how it affects these complex treatment processes. This idea has not escaped us at our Water Pollution Control Facility in Greeley. One particular instance arises in the analysis of measuring Volatile Acids. For the last few years our lab has relied on a single method of measuring Volatile Acids, as well as using certain equipment for measuring these results. This method has been a valuable indicator when it comes to determining the health of our anaerobic digester systems, especially in the winter when we experience the most complications in the treatment process. Recently, with the addition of new treatment processes and new employees that see value in other methods, we have begun to examine alternatives to our original procedure. These alternatives include, but are not limited to using a different method as well as using a different instrument to analyze the data. Our findings were a bit unsettling and confusing. Although we have only recently begun this study and it is still in progress, we do tend to see relatively significant differences. Now, there is a need to acknowledge that it is no world-changing finding to say that different methods and different instruments can provide different results on duplicate samples. However, the point is that there are certain parameters that exhibit greater discrepancies in results, and these can be difficult to interpret and put to use for operators and analysts alike. Our initial investigation into this process began when we found an alternative method from the same company that provides our reagents for the original method. This new method appealed to us in that it was a simpler, less time consuming process. However, the spectrophotometer (spec) used to analyze the results was different than the spec used in our original method. Fortunately, the instrument used in the new method could be equipped with an adapter to analyze our original method, so we had the ability to analyze both methods on the same spec. Here’s where our troubles surfaced: we didn’t know which results to take as our final number when it came to adjusting the operation of different processes in the plant. We had been using the same method for so long and using it as our proverbial ‘canary in the coal-mine,’ that when it came to new methodologies we had no baseline or warning limits to go by. Granted, if our results were close enough between methods and could be considered ‘apples-to-apples’ we wouldn’t need to worry about this. Yet Murphy’s Law had something different to say about this, and we began to see results of the new method on the new spec at 20% and sometimes even 50% higher than the original method on the old spec. Furthermore, this nascent study has shown that the new method produces more accurate results with our stock standard when compared to the old. So, where does this leave us? It seems that logic would dictate that when it comes to making significant changes in operating procedures we should make our adjustments based on the original method with the support of historical trends to back the decision. This has been our stance as we fight through worrying conditions in a push to stabilize the system before a more predictable and manageable period during the spring and summer. Fortunately, we will be entering a transition period with the construction and installation of a new primary digester. With this new change and somewhat of a blank slate to work with, we feel justified in converting over to the newer method with its perceivably more accurate results. Suffice it to say, we will continue to run the original method in conjunction with the new method to further establish some semblance of trends to compare. In closing, there is a desire to point out that this is but one small case study on a topic that any and all plants can be subjected to when put under certain stresses. Whether it be new analysts coming in to a lab, new equipment or methods being instituted by necessity or preference, or even changes to method rules as seen in March’s MDL writing, variability in a lab and its methods can lead to considerable impacts on a treatment plant’s performance and the decisions made in that right. Zach Dahlgren is a Water Quality Analyst at the Water Pollution Control Facility in Greeley. He has been with the City of Greeley going on 4 years and with the RMWQAA as Website Chair for over 3 years. On December 15, 2016 Gina McCarthy (then United States Environmental Protection Agency Administrator) signed the final rule which included an update to 40 CFR 136 Appendix B, the determination of the method detection limit (MDL). While the rule has been signed, it is awaiting publication to the Federal Register and is therefore not officially been released for use. The current MDL procedure has been in place in 40 CFR 136 Appendix B since 1984 with little-to-no changes since. Why does the MDL method need to change? The biggest concerns around the current MDL measurement procedure is that it does not address contamination in blank samples, inadvertently driving MDLs lower than they realistically should be. Additionally, the current method does not address variability within a lab, again driving the MDLs down. By definition, the MDL is “the minimum measured concentration of a substance that can be reported with 99% confidence that the measured concentration is distinguishable from method blank results.” In the current method for determining MDLs, seven spiked samples are analyzed and the MDL is calculated by multiplying the appropriate student’s T value by the standard deviation of these spiked samples. No guidelines are provided on the frequency of MDL calculation or timeframe within which these data should be collected for calculation; therefore, variability in analytical measurements by different analysts and variability over time are not taken into account. This procedure may result in MDLs that are higher or lower than they would be if variability were taken into account. The update attempts to control some of this variability by determining MDLs from a minimum of seven spiked samples which were measured in at least three batches on three separate calendar dates. The MDL of the spiked samples is calculated using the same equation as the current method. To ensure the MDL is distinguishable from the method blanks, the new method requires a blank MDL be calculated by multiplying the appropriate student’s T value by the standard deviation of the blank samples, then adding the mean of the method blank results. The higher of the spiked MDL and blank MDL becomes the new MDL for the method. The MDL is verified annually by analyzing at least two samples quarterly. Overall, these changes are a significant improvement over the current procedure; however, there are still some concerns with the new procedure. As analytical methods improve and impacts to aquatic life become more and more quantifiable, the water quality criteria continue to decrease along with the associated permit limits required to protect aquatic life. The new MDL calculation procedure is a significant improvement over the previous procedure, but by better accounting for low-level contamination through the use of blank MDLs, the MDL is likely to be driven up. Higher MDLs can lead to a permitting conundrum. The reporting limit (RL) and associated permit limit must increase with the MDL which would leave it unclear whether aquatic life are being protected. Otherwise, the RL and permit limit would be adjusted down to align with the standard. By decreasing the difference between the MDL and RL, the confidence that the data are truly detected also decreases. Neither regulatory scenario is ideal as it becomes unclear whether aquatic life is truly protected, or whether the quantifiable data are truly quantifiable. The work required to reduce potential contamination that may lead to higher MDLs may be too much for smaller labs to handle, resulting in the need to outsource samples to other labs with better capacity to reduce low-level contamination. By not conducting tests in-house, dischargers could be faced with increased costs. The option to maintain the previous MDL as long as it is within 3 times the previous MDL reduces the legitimacy of the new method as it allows for MDLs to increase or decrease based on a decision rather than the data. Is your lab ready for the new MDL procedure?? 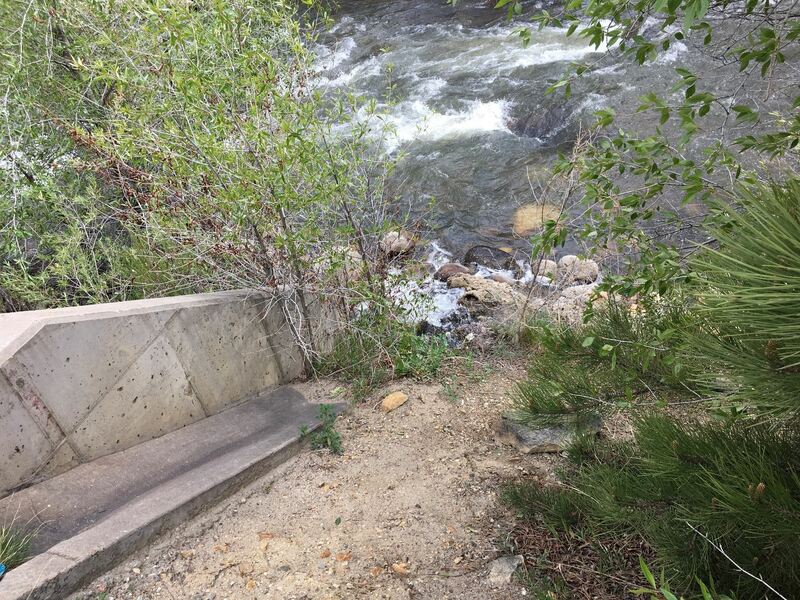 Melissa Mimna is the Water Quality Analyst in the City of Boulder's Water Quality and Environmental Services Group. Natalie Love is the Laboratory Director for GEI Consultants, Inc's Laboratory. GEI conducts Whole Effluent Toxicity (WET) testing, benthic macroinvertebrate identifications, and low level nutrient analysis for Regulation 85 and other local monitoring. This excerpt was taken from a poster presented at the Society for Environmental Chemistry and Toxicology national conference in 2015. On January 26, 2017, RMWQAA hosted a free tour of the Leprino Foods Wastewater Treatment Plant. Leprino Foods Company began operations in Greeley, Colorado in 2011, bringing much needed jobs and economic benefits to Weld County. Over 430 people are employed at the factory, which helps make Leprino Foods the largest producer of mozzarella cheese in the world. The entire production supply chain is localized with over 100 semi-truck loads of milk offloaded into the factory each day. The raw milk that is delivered to the plant is made up of almost 87% water. Much of this water in the milk is removed during evaporation and then condensed into condensate of whey (COW) water. By capturing this COW water, the plant can rely less on municipal water sources and return around 300,000 gallons more water than it takes in on a daily basis back into the Cache la Poudre River. During the tour, we witnessed some of the by-products of the wastewater treatment process. Dried biosolids were pressed into a cake-like consistency and loaded slowly into large dump trucks which were transported to local farmers to be used as a soil amendment. Construction on a new digester was underway to allow the plant to utilize methane gas to provide energy to the plant. 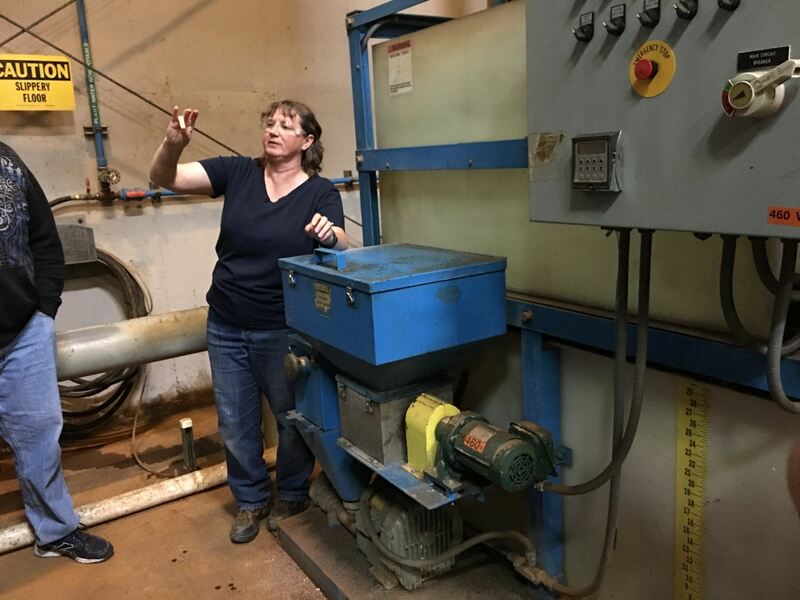 The tour was a great chance to see different aspects of the wastewater treatment process, including the testing laboratory, and to get a look inside a large and important contributor to our local economy. Danny McCausland attended the tour and is the Water Quality Supervisor for GEI's Laboratory. GEI conducts Whole Effluent Toxicity (WET) testing, benthic macroinvertebrate identifications, and low level nutrient analysis for Regulation 85 and other local monitoring. 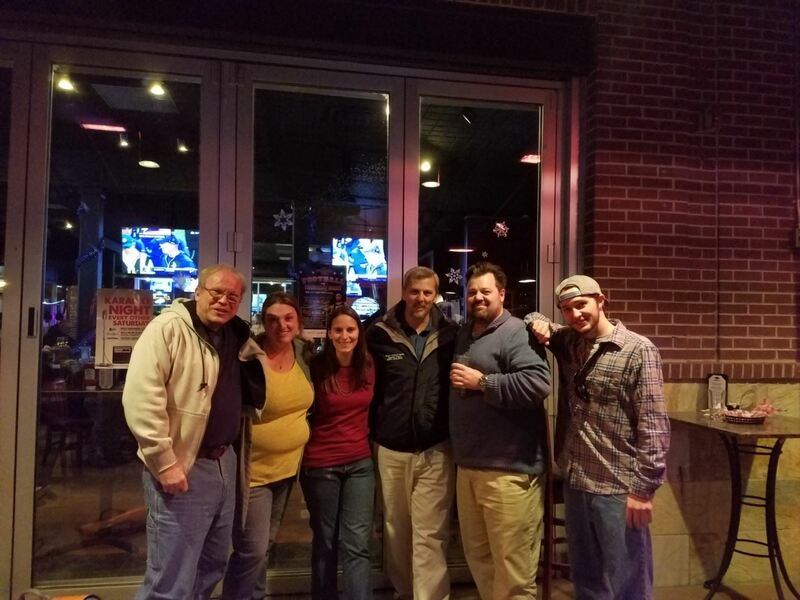 On December 1, the Lab Practices Committee of the RMWEA and the Rocky Mountain Water Quality Analyst Association joined forces to host a holiday social event for their members. The event was held at the Lazy Dog in Westminster and there was a fantastic turnout, with about 40 water quality enthusiasts from local laboratories joining in the fun. There were a number of games to keep everyone entertained, including Water Quality Family Feud, Guess the number of stoppers, and Close-up Lab Pic Trivia. It was a good chance for networking, sharing lab stories, discussing future lab issues, and returning borrowed reagents. 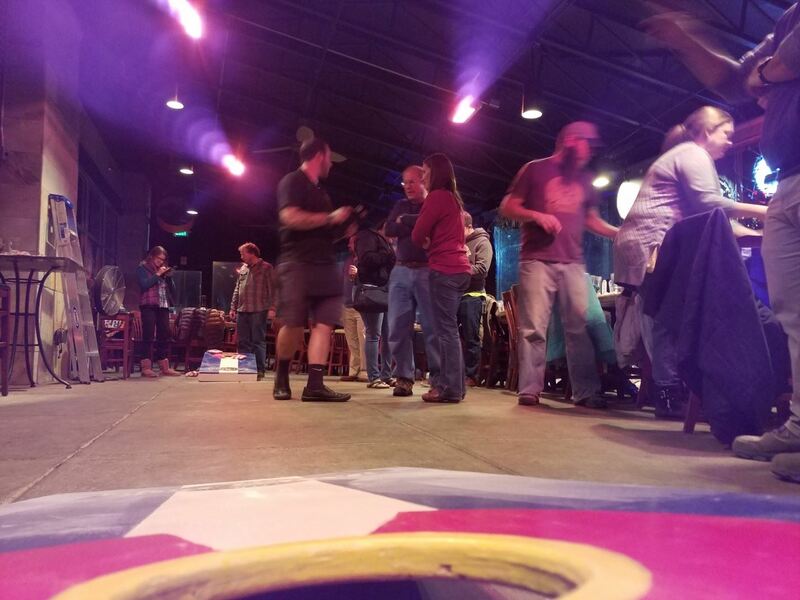 RMWQAA holds social events every July and December and they are a great way to collaborate with peers… don’t miss the next one! In early November, the RMWQAA education subcommittee hosted a workshop to provide analysts a more solid background on the Drinking Water and Wastewater Regulations that drive their daily work. 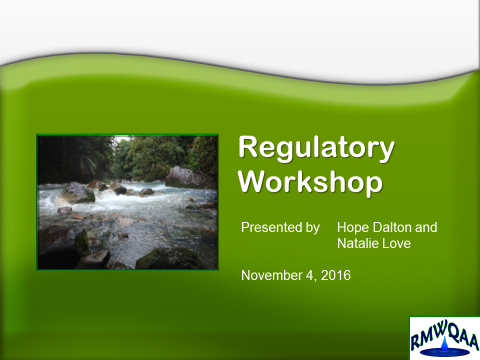 The workshop was led by Hope Dalton who holds a strong background in regulations, education, and laboratory. Ms. Dalton discussed the history of federal regulations as well as the Colorado-specific regulations and how they are implemented. Natalie Love provided information on the Clean Water Act and Colorado wastewater regulations. There was a strong turnout from across the Front Range as well as attendees from as far away as Eagle County. The regulatory workshop played a secondary role in piloting a new look for RMWQAA presentations. The goal is to provide more consistency in the training delivered by the organization. The education subcommittee is working towards providing future trainings via the internet so we can reach members in less accessible areas and those who cannot travel often. Stay tuned for future trainings. Approximately six years ago Metro Wastewater Reclamation District determined that it was imperative that we had a dedicated group of individuals to manage all of the in-line instruments that were engineered into several of our plant upgrade projects, especially in the secondary treatment portion of the plant. A majority of the instrumentation is used for determining the effectiveness of biological nutrient removal, including nitrification/denitrification, and phosphorous uptake. The reliability and accuracy of in-line instruments, at that time, had risen to a point that they provided our Treatment staff a comfort level in making real time process control decisions based on the information received from the instruments. In-Line instruments were more traditionally only used for dissolved oxygen, pH, and total suspended solids. Now we are seeing tremendous success measuring parameters such as ammonia, nitrite, nitrate/nitrite, orthophosphate, and chlorine, with some instruments able to measure multiple parameters in sequence. We have also had some success with in-line instruments that measure total organic carbon reliably. The ammonia instruments are also tied into a control logics system for aeration to improve nitrification/denitrification efficiencies, while reducing the costs of aeration. Although most In-Line instruments tend to be less costly than their bench top, more robust, counter parts, an in-line budget is not for the “faint of heart” when you include the original price of the instrument, replacement parts, and a dedicated staff to maintain them. Our In-Line group is “housed” in the Analytical Services Division based on our expertise with analytical instrumentation, but is supported by many other divisions at the facility, as all instruments are tied into our control systems. The In-Line Instrumentation Support group has grown to five Specialists covering our North, South, and Northern Treatment plants. Kevin Feeley, B.S. Biology, M.B.A, is the Chief of Analytical Services and has been employed with Metro Wastewater Reclamation District for 27 years. Mr. Feeley is the former Chair of the RMWEA Lab Practices Committee, a RMWQAA board participant, and on the Red Rocks Water Quality Program Advisory Board. Outside of the water and wastewater world, Kevin holds a 2nd degree black belt in Tae Kwon Do, and is the owner of 25,000+ Hot Wheels cars.